The sadness is stark on the tanned face of Abdul Khader as he steps out after offering the afternoon prayers in the prayer hall in Birkhodi, a fishing hamlet located about eight kilometres from Kumta town in Uttara Kannada district. Khader has been running from pillar to post for the past six months in order to get a no objection certificate (NoC) from the local Kagal gram panchayat and district Coastal Regulation Zonal Authority (DCRZA) to renovate his tiled-house. His family has been residing in the locality for two generations. “The regional director (environment) in Karwar says NoC cannot be issued even under the new Coastal Regulation Zone (CRZ) notification 2018,” Khader told DH. Close to Khader’s house, at the end of Birkhodi beach, is Nirvana Nature resort owned by Mangaldas Shetty, a businessman. Just a few metres away from the beach, the resort with permanent single-storey structures despite violating CRZ 2011 guidelines continues to operate illegally. Shetty drew the ire of local communities when he purchased land from local residents and turned the breathtakingly beautiful Heaven Beach or Kirbele Beach, located a few kilometres away from Nirvana resort, into a private beach. Shetty also blocked the community’s access to the beach, by installing a gate on the only stretch connecting Kumta town to the beach. Half a dozen neighbouring families have been facing many hardships after the businessman cordoned off his property, spread over nearly 6 acres 15 guntas, with the barbed-wire fence extending upto the Heaven Beach. Shetty’s neighbours said the barbed wire fence restricted their mobility and access to the beach. “We seem to be surrounded by a fort. The ambulances will no longer come to our doorstep and people will have to look for alternative places or walk roundabout in order to immerse Ganesh idols in the sea during Ganesh Chaturthi celebrations,” informs an elderly woman whose farm is adjacent to Shetty’s property. 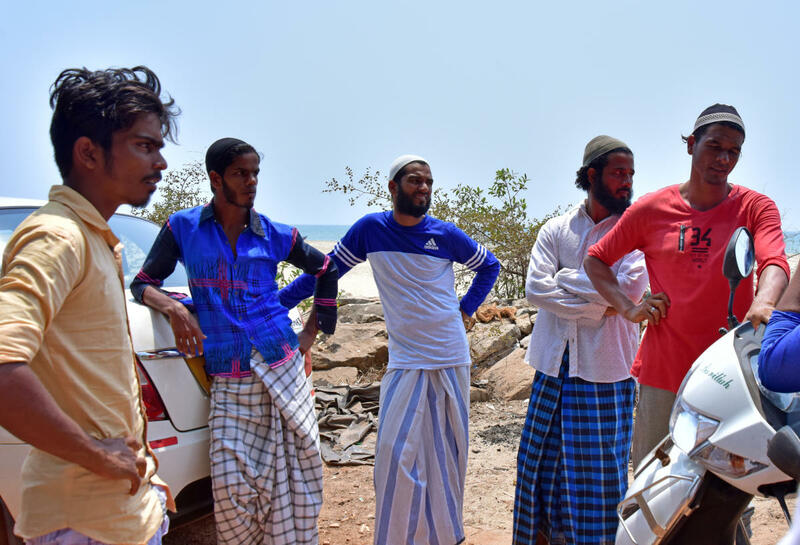 “Due to such developments, traditional fisherfolk are forced to look for alternative fishing sites,” inform Asif and Mohan, fishermen from Birkhodi and Aghanashini estuary respectively. Chidananda Lakkumane, who ekes out a living as a tourist guide, had filed a complaint against Shetty to Kagal gram panchayat. “Foreign tourists stop to visit the historically important Agasthya cave close to the Heaven Beach and also use the paid toilets constructed by local residents. Shetty filed a trespassing case against me in the local police station for taking tourists there. In turn, I filed a complaint against him,” Chidananda said and claimed that Shetty owned over 35 acres in the area. Sources in DCRZA admitted that the preamble of CRZ had promised livelihood and protection to fisherfolk. But in reality, more outsiders are encouraged to buy lands from fisherfolk and turn them into beach resorts. Vinod Patgar, enviro­legal coordinator, The Centre for Policy Research-Namati Environmental Justice Programme, quoting a study said the tourism industry and government developmental projects have covered 18% of the coast that was once the home of traditional fisherfolk and coastal farmers. “This has not only affected the poor families who have sold their lands at throwaway prices, but also large sections of the coastal communities who eventually lost access to the beachfront. The developments raise concern over whether the CRZ Notifications were made keeping in mind the interest of business tycoons and to appease the states,” Dr Mahabaleshwar R Hegde, Manager, Namati Environmental Justice Programme, said. Vinod points out that even after the decentralisation process, DCRZA takes a minimum of six months to issue an NoC to a fisher. A recent study had revealed that funds under housing schemes for 134 beneficiary-fisherfolk in Uttara Kannada were returned to the government as their sites were within the CRZ. The ignorance about CRZ had forced fishermen to sell their land in fishing villages. “Due to the ambiguities in the notification, large stretches of the coast face a risk of being turned into private hotel beaches,” Vinod told DH. Prof Ramachandra Bhatta, former Professor of Fisheries Economics, College of Fisheries, said the new notification has indicated the vulnerability of coastal fishers owing to reduced space and benefits of coastal commons. As population density in the Mangaluru coast is already very high, resorts and other facilities will be built right up to the High Tide Line. “According to the recent notification, sea links, salt harvesting and desalination plants and roads on stilts are also allowed in CRZ-IA (turtle breeding sites). Mangalore Refinery and Petrochemicals Limited’s 30 million litres per day seawater desalination plant in Thannirubhavi Beach and another desalination plant identified in Bengre village would completely destroy the coastal fishery,’’ stressed Prof Bhatta. He also clarified that it was not fishers who were pushing for changes as projected. Instead, politicians were demanding the same status as was given to Mumbai and Goa for the promotion of tourism activities. “States should prepare detailed maps for long-term needs of the fishing communities in view of their expansion needs. This is missing in the 2018 Notification which clearly undermines the demands of the fishers,” he said.